Ramatuelle swimsuit "Fiji" is inspired by the eponymous archipelago consisting of more than 332 islands located in the Pacific Ocean. Beautiful nature with wild flowers and exotic beaches. Made in a beautiful polyamide microfibre fabric with a 'Peach fini Read more.. 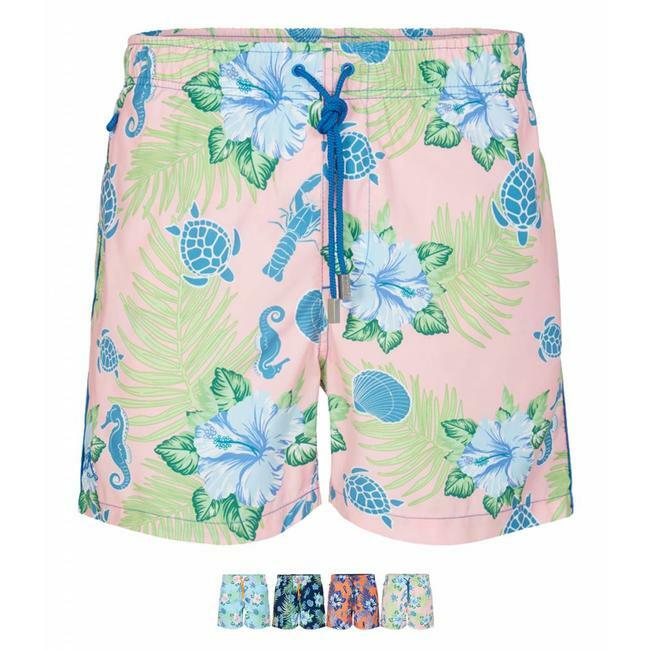 The Fiji swimsuit is a classic swim shorts or a classic model, in which every age can and can be seen! This swimsuit is also available in a boys version. The side seams of the Fiji swim trunks are edged with a contrasting fabric, which is characteristic of Ramatuelle. On the inside of the swimming trunks is an inside pocket showing the map of the Cote d'Azur and Ramatuelle. Ramatuelle swimsuit "Fiji" is inspired by the eponymous arch..